Elite. Don’t let that distract you from the search for lucidity. I will be in Enschede tomorrow, thousands of miles away from where I live…! Will see if I can add an option to align the minute view from there. 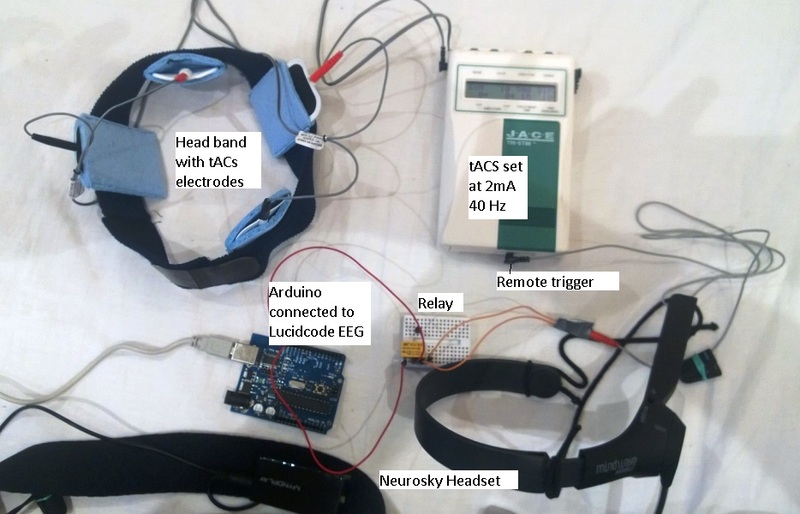 Hi — I’m interested in how you are using the NeuroSky to trigger lucid dreams (i.e., what’s in the photo of your setup), and also whether NeuroSky can be used for classic Theta Brainwave Training by placing the sensor on the left occipital lobe. Thanks. I am not sure if it can be used for classic Theta training, but I did hack together a feature (NZT-48) for Beta training, described here: https://lucidcode.com/2014/05/22/neurosky-thinkgear-eeg-1-1-0/, where it will play a movie if the Beta channel is above a threshold value. If that works for you, I could make it work for the Theta channel… let me know. 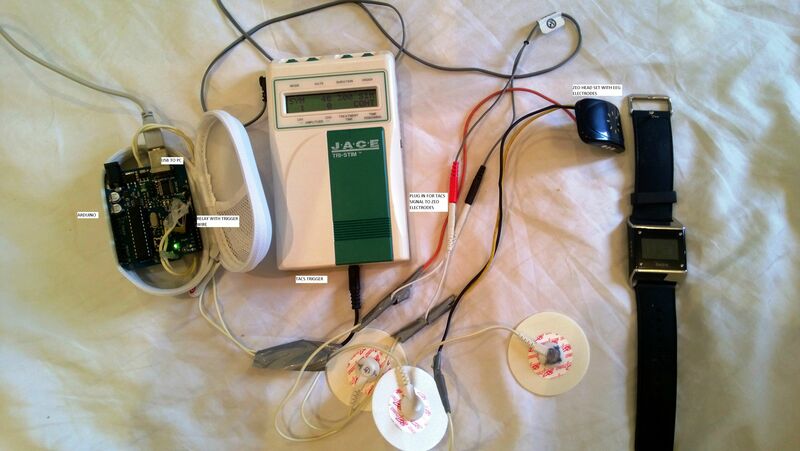 Also whether you might be interested in selling the parts of the setup other than the NeuroSky itself. Thanks. If you look on the Halograph page, you can find the DIY instructions and links to the other parts. Hi Jef, looks great! My friend and I are working on replicating your design. Can you tell me where you got your tACS electrodes from? And are you using salt water or gel or something to improve conductivity? Is there any reason you are using the JACE Stim as opposed to another (cheaper) simulator? Is it just because you already had it or is there a specific reason to use the JACE? Do you know of any cheaper alternatives to the JACE? Hi Daniel, You can get a Osim upixie usb pulse. It works great with Lucidscribe since it replicates the sound waveform.